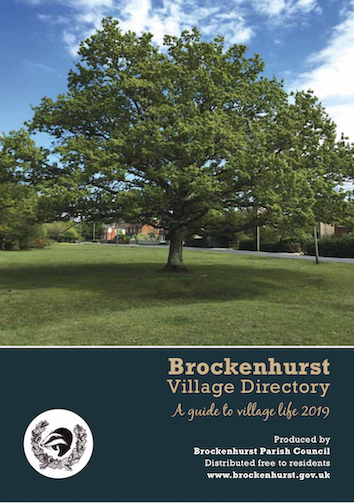 The Parish Council regularly publishes a Village Directory to promote the community interests, social and economic well-being of the village. Funded by local advertising, it is delivered free of charge to homes in the civil Parish, is available from the Parish Council Office and can be downloaded here. Updated information contained within the Directory can also be accessed via our Local Community and Local Businesses webpages. Please note that whilst care is taken to ensure the accuracy of the information in the Directory, all information and advertisements have been accepted in good faith and the Parish Council cannot be held responsible for errors or omissions, nor does inclusion in the Directory or on our website constitute endorsement or support by the Council. We endeavour to update the information on the website on a timely basis but it is inevitable that during the lifespan of the Directory information will change and you are therefore advised to contact the relevant organisations before making any arrangements. To update or amend your entry in the Directory and/or website or to enquire about Directory advertising, please contact the Parish Clerk. Please note that inclusion is at the discretion of the Parish Council and generally restricted to organisations which operate out of the Parish and/or those for which a substantial proportion of their operations relates to serving Brockenhurst and the surrounding areas. Inclusion of an organisation's details does not constitute endorsement or support by the Council.